TEL:US a podcast all about the world of Technology Enhanced Learning. Brought to you by the TEL team at the University of Sussex. TEL:US Podcast: Online Distance Learning; building communities. 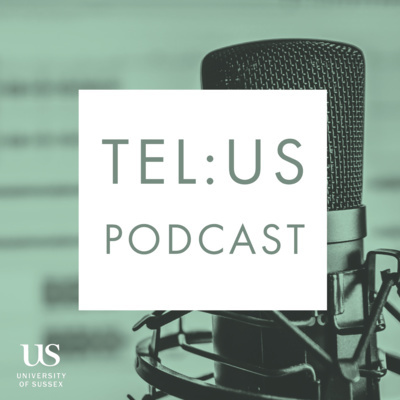 In this episode of the TEL:US podcast, Kitty Horne and I chat to René Moolenaar about his experiences of teaching one of the universities first online distant learning modules. We talk about the ways in which he builds community, promotes peer interaction and how simple tool available in Canvas help him to do this. I also introduce two new features of the podcast; Shortcut of the Show and App of the Show. I'm a big fan of little wins that keyboard shortcuts can give. They are not the most exciting thing to talk about, so I've added reverb... Please let us know if you have any feedback about the podcast, likewise if you want to get involved or have a contender for Shortcut of the Show. Thanks for listening. Links: @danaxson @kittyrhorne @r_moolenaar More information about our 100% online masters modules Technology Enhanced Learning Website The Campus is dead, long live the campus. Blog post.